Flop or Fighter: Can Liverpool's Ben Woodburn Turn His Faltering Career Around? When Ben Woodburn seized on Georginio Wijnaldum's flick to finish like a seasoned pro into the top corner of Leeds' net on a November night in 2016, it felt like an "I was there" moment. At the age of 17 years and 45 days, Woodburn had become the youngest player ever to score for Liverpool, beating Michael Owen by 98 days. One day, those in attendance would be able to boast that they had been at Anfield when Ben Woodburn scored his first goal for Liverpool. The first of many, surely. Nearly two years on from the best night of his life, Woodburn will soon be preparing to face Leeds again, but everything else has changed. The Liverpool starlet has become a Sheffield United loanee, Premier League dreams replaced by Championship reality. Optimism has given way to the fear of another talented young player slipping into obscurity. Once Woodburn scored that goal, comparisons to Owen were inevitable. Both had grown up in Cheshire and joined Liverpool at a young age before signing their first professional contracts aged 17. Woodburn didn't quite score on his debut like Owen did - he'd been brought on as a 90th minute substitute against Sunderland three days earlier - but the feeling was the same. That's where the similarities end, unfortunately. Within two years of making his Liverpool debut, Owen had scored 47 goals for the Reds and written his name into England folklore with that incredible individual strike against Argentina the 1998 World Cup. At the start of 2017, Woodburn was named as one of the players to watch that year by both ​Sky Sports and ​the Guardian, despite the fact that he was yet to start a Premier League match. In November 2017, Ian Rush told ​the Mirror that Woodburn was a more skilful player than Owen. The hype wasn't without merit. Woodburn was named Liverpool's Academy Player of the Season for 2016/17 after scoring eight Premier League 2 goals. He scored five minutes into his Wales debut against Austria. He was even nominated for UEFA's golden boy award alongside the likes of Kylian Mbappé, Ousmane Dembélé and Gabriel Jesus. So what has happened since then? Well for one, Jurgen Klopp signed Mohamed Salah. Woodburn went from bench warmer to spectator, only appearing among the substitutes six times last season. As Liverpool's front three dominated defences across Europe, it became apparent that Woodburn would need to go out on loan to get some game time. Not that there's any shame in dropping down to the Championship. Many Premier League greats of past and present have honed their trade in the lower leagues, including David Beckham, John Terry, Rio Ferdinand and Harry Kane. They proved themselves away from the spotlight before taking centre stage. But Woodburn has not proved himself. He is yet to score for Sheffield United, he was taken off at half time on his only league start for the Blades, and he has only seen 23 minutes of Championship action since the end of August. There are rumours that his loan spell could be cut short in January. Woodburn will return to Anfield to find himself further down the pecking order than ever. Daniel Sturridge is back fit and firing, Xherdan Shaqiri is capable of playing as part of a front three, 18-year-old Rhian Brewster is pushing the fringes of the first team, and even Harry Wilson is giving a much better account of himself on loan at Derby than Woodburn is at Sheffield United. The man keeping Woodburn out of the team at Bramall Lane, Mark Duffy, provides a cautionary but encouraging tale for the youngster. Duffy started his career at Liverpool but failed to make the grade. Within a year of leaving Anfield, he was playing part-time for Vauxhall Motors. His dreams seemed to be over. Over the course of the last 14 years, Duffy has slowly worked his way back up through the leagues, via Southport, Morecambe, Scunthorpe, Doncaster and Birmingham, before signing for Sheffield United in 2016. Now, at the age of 33, he is closer than he has ever been to playing Premier League football. By scoring for Liverpool and playing in the Premier League, Woodburn achieved at the age of 17 what Duffy, and many others, never have. Comparisons to Owen and Mbappé have given the unfair impression that Woodburn is behind the curve, but he's not. He won't turn 20 until next October. He has time on his side. 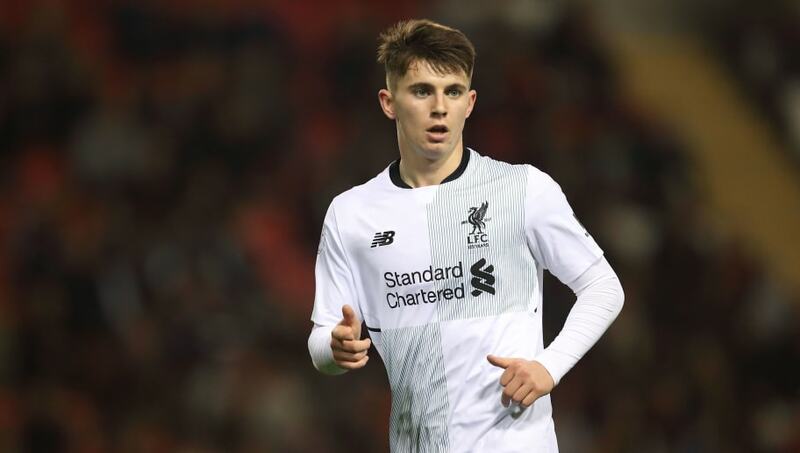 #LFC to consider recalling Ben Woodburn in January due to lack of playing time at Sheffield Utd. He needs to choose his next step wisely though. A loan move to a smaller Championship club might provide more opportunities for him to get his eye in under less pressure. Woodburn's Premier League 2 record shows that he thrives on confidence and consistency, with his goals and assists coming in patches of 3-5 matches, so he needs an extended run of games. The landscape at Liverpool could change over the next few years, but probably not so dramatically that Woodburn will be able to work his way into contention. Liverpool cannot afford to be sentimental with their selections and their current front line looks pretty untouchable. Woodburn will never be the next Michael Owen. Perhaps he'll never play another game for Liverpool. But if he can get his career back on track in the Championship and work his way back to the Premier League, he could still fulfil his potential.